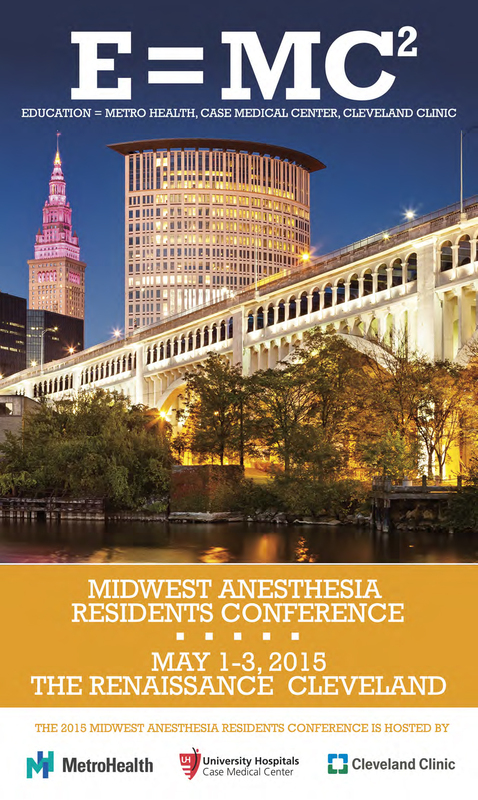 Stay tuned for 2015 Midwest Anesthesia Residents' Conference (MARC) in Cleveland this weekend! MARC is the largest Anesthesia residents' conference in North America and in the world, with around 700 attendees every year. The purpose of the MARC meeting is to encourage and foster resident research and scholarly activity, and to network with their peers in a friendly, educational atmosphere. Congratulations to our residents, Drs. Amanda Jasudavisius, Don Nguyen, Hesham Youssef, Jennifer Smallwood, and Jordan Leitch, for presenting their research at MARC this year and representing our Department! Summary: To conduct a systematic review to determine the most frequent diagnoses made with POCU (both TTE and TEE) during non-cardiac surgery. Summary: A dose comparison study was conducted to investigate the onset of labour analgesia using 0.08% bupivacaine with varying doses of fentanyl. We found that increasing doses of epidural fentanyl hastened the onset of analgesia. Summary: In this study we compared two different sedation techniques for percutaneous coronary intervention. Summary: This study is one of the first to identify variation in the neural activity associated with pain processing between control and neuropathic pain patient groups. The demonstration of the difference in signal activity between patient and control groups, in particular in regions critical to endogenous analgesia, is a key first step in elucidating the pathophysiology that underlies chronic neuropathic pain syndromes.